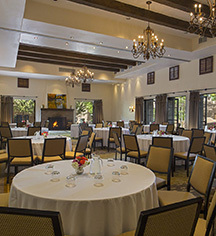 La Posada de Santa Fe, A Tribute Portfolio Resort & Spa has a collection of immaculate ballrooms and intimate venues totaling 4,500 square feet which can provide room for up to 300 guests. 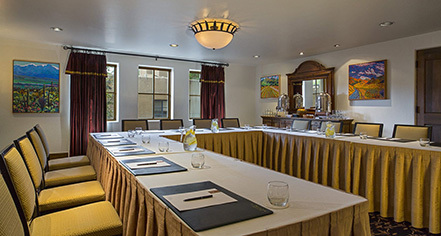 Whether hosting a meeting, a presentation, or a social event, La Posada is sure to be the perfect venue. The resort's award-winning culinary staff has created banquet menus for every occasion and are happy to assist in selecting the perfect combination of delicious foods and drinks for the upcoming event.